File photo of Santa Rita Jail. 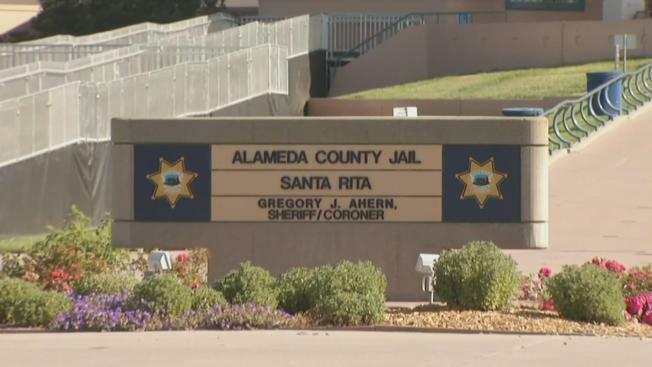 A former inmate at the Santa Rita Jail in Dublin testified on Tuesday that two Alameda County sheriff's deputies arranged for a fellow inmate to spray feces and urine on him in his cell in 2016. Taking the witness stand in the preliminary hearing for Justin Linn, 25, of Tracy and Erik McDermott, 28, of Concord, who no longer work for the department, Fernando Soria, 48, said they opened his cell door and allowed the other inmate, who is nicknamed "Preacher," to spray him with feces and urine, a practice known as "gassing." Soria said McDermott and Linn also wouldn't allow him to bathe or put on clean clothes for days afterward. He testified that he would be naked in his cell for several days at a time and "I was freezing." Soria also alleged that McDermott and Linn broke his arm. He said the attacks occurred when he was housed in an administrative segregation unit. Shane Woodcock, another former inmate, testified that McDermott and Linn facilitated "numerous" gassing attacks by the inmate known as "Preacher" on Soria and other inmates. Woodcock, who worked as a cleaner at the jail, said McDermott and Linn jokingly described the gassing attacks as "spreading the gospel" and "crapaccino." He also said McDermott and Linn gave Preacher special treatment by moving him to different units and by getting extra food and special clothes. In addition, Woodcock said McDermott and Linn told him to spread the word that one of their fellow inmates was a "snitch" but he refused to do so. Linn is charged with four counts of felony assault by a public officer, one count of dissuading a witness by force or threat and one count of conspiracy to obstruct justice. McDermott is charged with two counts of assault and one count each of dissuading a witness and conspiracy to obstruct justice. Their hearing will resume on Wednesday and is expected to last at least until next Monday. At the end of the hearing, Alameda County Superior Court Judge Morris Jacobson will decide if prosecutors produced sufficient evidence against McDermott and Linn to have them stand trial. At the end of a short preliminary hearing for co-defendants Sarah Krause, 27, and Stephen Sarcos, 32, who face less serious allegations, Jacobson ordered them to stand trial on a single felony assault charge. Soria filed a lawsuit last October against Linn, McDermott, Sarcos and Krause for allegedly allowing "Preacher" to gas him. Soria testified on Tuesday that the experience of being gassed was "like a horror movie." He said, "I still am scared. I don't like sitting in court against deputy sheriffs."